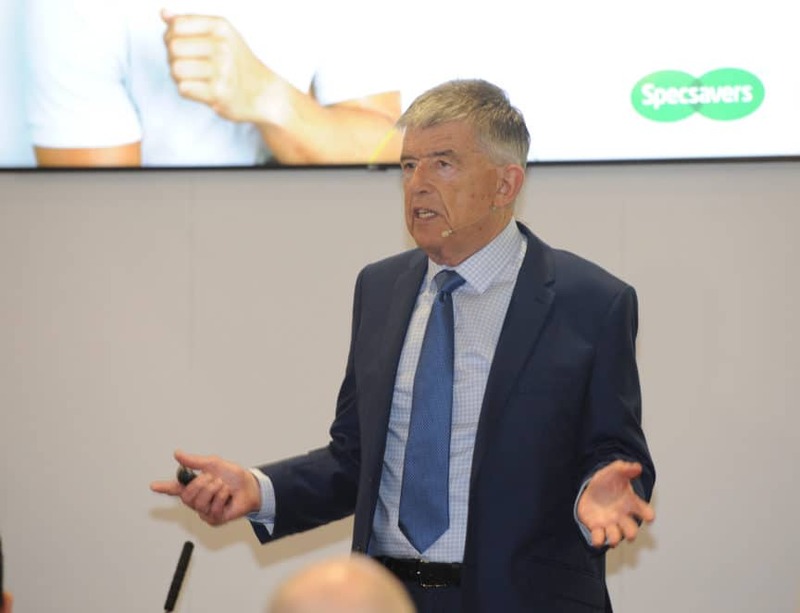 The sustainability of the optical profession is under threat right now, according to Specsavers founder Doug Perkins and director of professional advancement Paul Morris who took to the stage at Optrafair on Sunday 31 March. The technology behind online sight testing and dispensing is improving all the time and it is not long before someone will launch it in the UK as a disruptive Uber-style business model, and view the GOC fine for breaching the Opticians Act simply as a cost of doing business. Doug and Paul urged the optical profession as a whole to get behind the drive to improve optometry and to prove its value to stakeholders. 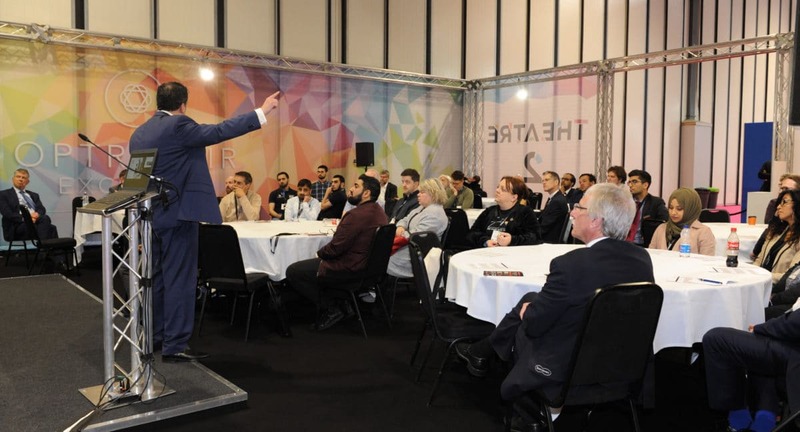 Emphasising the need for practitioners to focus on the things that they can influence, Doug said, ‘Firstly, there is our very special relationship as a profession with our 15 million customers. We need to build their loyalty by upgrading the quality and the range of services we provide, by offering them unrivalled customer service and by giving them compelling reasons to return, rather than go to the internet. ‘Secondly, there is our very special relationship with the NHS. With the migration of customers to the internet, we cannot achieve sustainability without this strategic link. You only need to look at countries that do not have state-funded eyecare such as Spain and the Netherlands to see what commodity optics looks like. ‘But we have a problem as a sector: the lack of recognition in the NHS of what optometry can do. Although the new NHS Long Term Plan majors on the shift from hospital to primary care, optometry does not even get a mention. 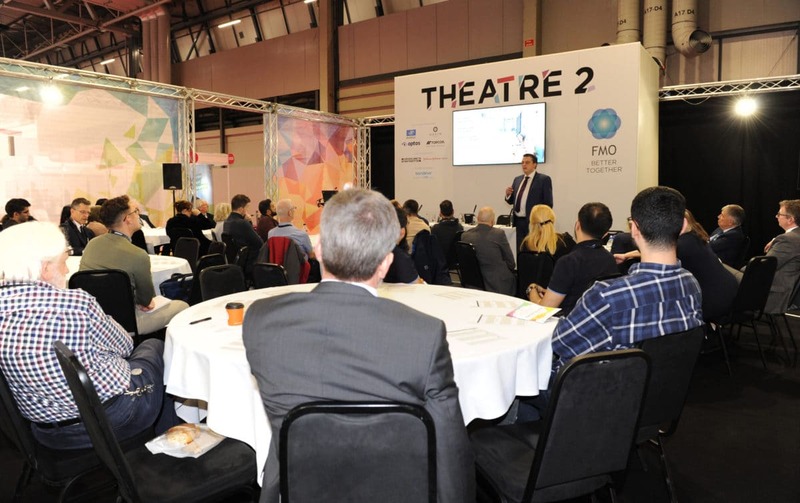 Following Doug Perkins onto the stage, Paul Morris shared his experience of how practitioners can demonstrate their value by harnessing and acting on their data, particularly around the three Rs of recall, referrals and record-keeping. He said, ‘The best thing for our sector, the best thing for our patients, the best result for everybody is that people buy into us as a profession. Because we do a lot of good. What we don’t so well is prove it and demonstrate it. Recall was, he said, fundamentally the best tool the profession could use to influence people. Practitioners should challenge themselves on the frequency of recall and they should also use recall communications to educate patients about the importance of eyecare, raising awareness of the importance of regular sight testing. Paul concluded by explaining that Specsavers was taking steps to improve its clinical outcome reporting. ‘As we broaden the scope of the profession and educate stakeholders about our value, knowing the outcomes of our clinical interactions and reviewing them as part of reflective practice is vital to demonstrating our professional credibility. ‘At Specsavers we are enabling a suite of that looks at a number of ‘important areas, in line with the peer review approach recommended by the GOC.